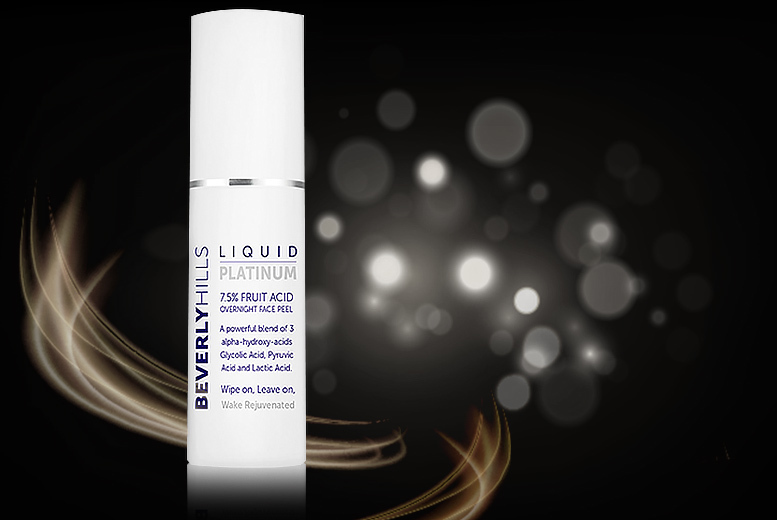 Get a Beverly Hills 50ml Liquid Platinum facial peel. Lactic acid helps exfoliate and soften your skin’s surface. Pyruvic acid aids the treatment oily and problematic skin. Plus Glycolic acid to help dislodge and remove dead or damaged cells. Xanthan gum base makes it easy to apply and helps cover a wider surface area. A safe, healthy and effective way to get you on the path to smooth and radiant skin!